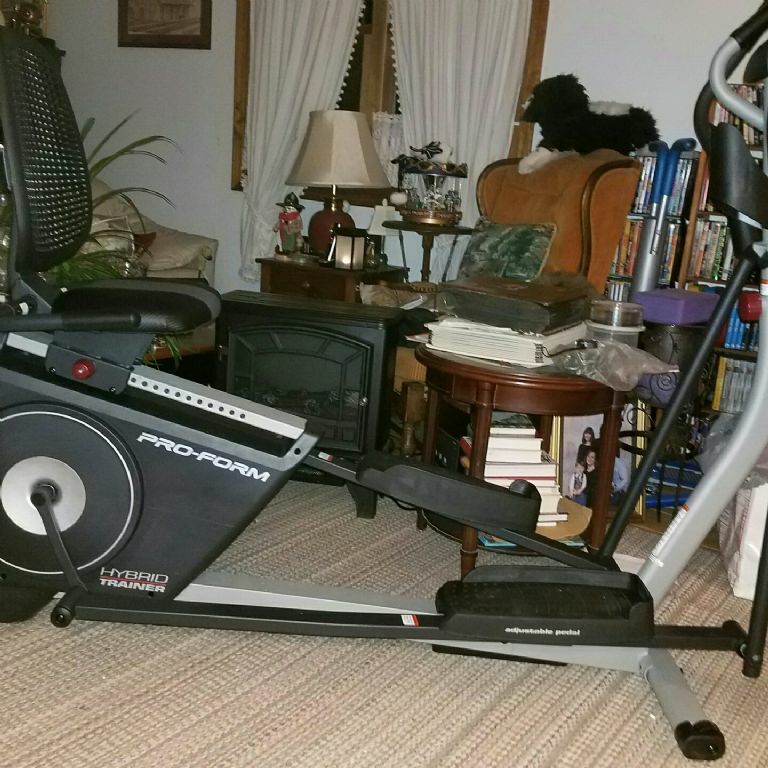 Okay so I bought this combination recumbent bike and elliptical from walmart.com. It took me a few hours to put it together but I did. Getting the box into the house was harder than putting it together since it weighs 142 pounds. That was a better workout than either the bike or the elliptical. So today I did 20 minutes on the bike and could only do 5 minutes on the elliptical before my legs felt like rubber bands. But the fact that I am up and moving to me is a huge milestone! Woohoo!!! Gotta start somewhere! Congratulations & keep up the good work!!! I think that you are off to a GREAT start!!!! Congrats.